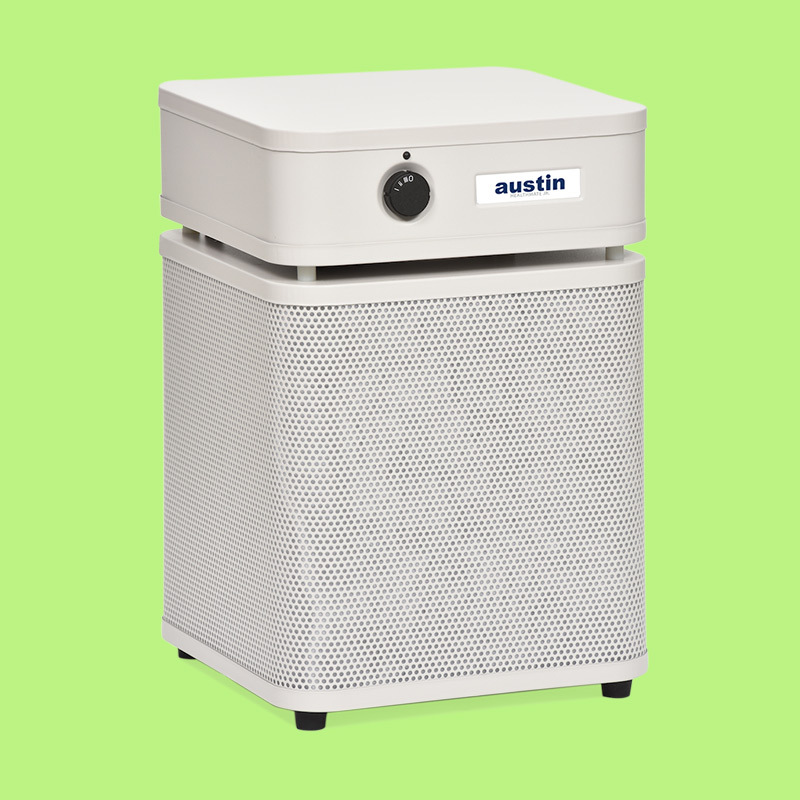 The Austin Air HealthMate Junior® is designed for people with everyday air quality concerns, living in smaller spaces. 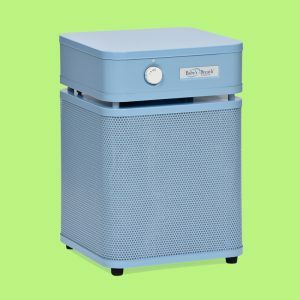 It removes a wide range of airborne particles, chemicals, gases and odors and will significantly improve the quality of air in your home. You can also order your HealthMate Junior® with wheels for ease of use. Who should consider the HealthMate Junior®? Why is the HealthMate Junior® the best choice for me? Efficiently removes a wide range of airborne pollutants and allergens, including dust, pollen, chemicals and gases. The HealthMate® Jr. is Austin’s original filtration unit. It is still our most popular unit as it addresses a wide variety air quality concerns by removing sub-micron particles, noxious gases and chemicals. Austin Air’s 360-degree intake system draws air into all sides of the HealthMate® Jr. passing it through a 4-stage filter. The result? Your general indoor air quality concerns addressed! 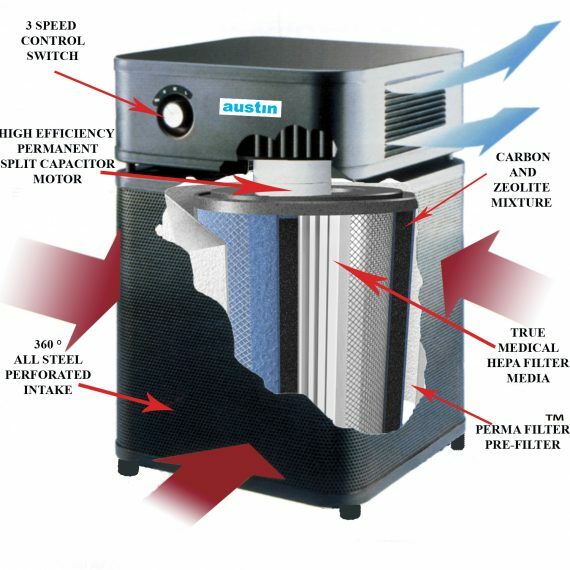 STAGE 3 – Over 270 cubic inches of Activated Carbon and Zeolite. 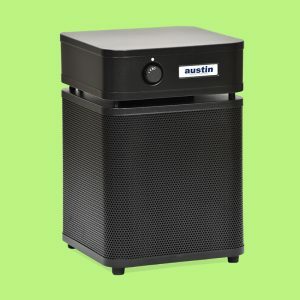 Removes chemicals, gases and odors. STAGE 4 – 30 sq. ft. of True Medical Grade HEPA. 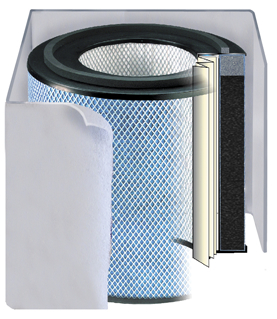 Removes 99.97% of all particles larger than 0.3 microns and 95% of all particles larger than 0.1 microns. 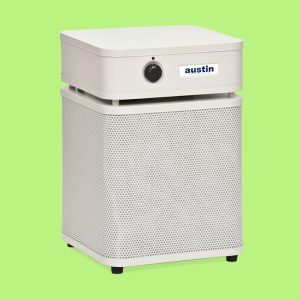 Replacement filter for the Austin Air HealthMate® Jr.